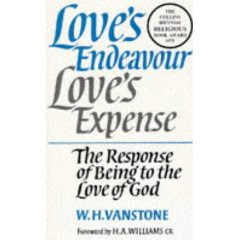 In 1977 I paid £2.95 for my copy of Love's Endeavour, Love's Expense. Ever since, I've lived more deeply, theologised more humbly, loved God more intelligently, preached more creatively, cared more compassionately, prayed more fervently, hoped more persistently, felt more passionately, wept more willingly, laughed more lightheartedly, taken friendship more seriously..at least if I have, it's because of the basic insight that illumines this book. Canon W H Vanstone is one of that long tradition of Anglican theologians who don't teach practical theology, they instinctively think and live it. For Vanstone all theology must ultimately be pastoral. He never went into academia; resisted any promotion that removed him from his vocation as parish priest in a housing estate in the north of England. He only wrote three books, and this was the first. I am presently reading: Howard E.Friend, Jr., Gifts of an Uncommon Life (Herendon: The Alban Institute, 2008). 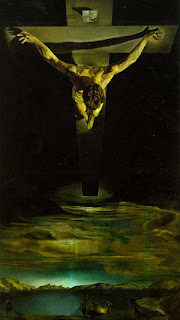 Came across it on a 'Mennonite' inspired book site. Know next to nothing about the author except that he appears to be one who has lived an uncommon life. Was interested in its central idea that contemplation and activism are not two opposites poles on the spectrum but instead belong together in an integrated way of living. Indeed Friend argues that if a person is 'contemplative', yearning to celebrate the divine presence in all creation, and to welcome Christ deeply into their life then they will be 'inevitably, intrinsically, an activist as well'. Now in my experience, Christians like me, are masters in giving the clichéd responses to such questions. Lent I think is a period for rejecting the cliché, for exorcisng its seductive promise, for lingering a bit in the wilderness of the question...I am living with this one and with this book' which thankfully allows you to read the chapters in any way that you want - 'Prophets Wanted: The Gift of Outrage' was a good chapter. Choose a book (apart from the bible) that has made an impact on your life and thinking - could be from a long time ago or very recently. The hope is to have at least one or two books over the six weeks. Tell us a little of something about the book (and perhaps the author), why it made an impact and perhaps a short extract. Via comments let me know the date and if you can book title. Readers are then are encouraged to post comments either with their thoughts on the book or with some questions if they've not read it. Feb 25 Stuart Blythe on Gifts of an Uncommon Life by Howard E.Friend, Jr.